Does it have the same affect that "Get Out" created in 2017? I don't think so. Did Jordan Peele create another socio-political horror film about how the poor are marginalized and cast away while we as an American society put on a happy face even though, deep down inside, we're ashamed of the unabashed consumers that we've become while living a soulless existence? I think that's a little more accurate. 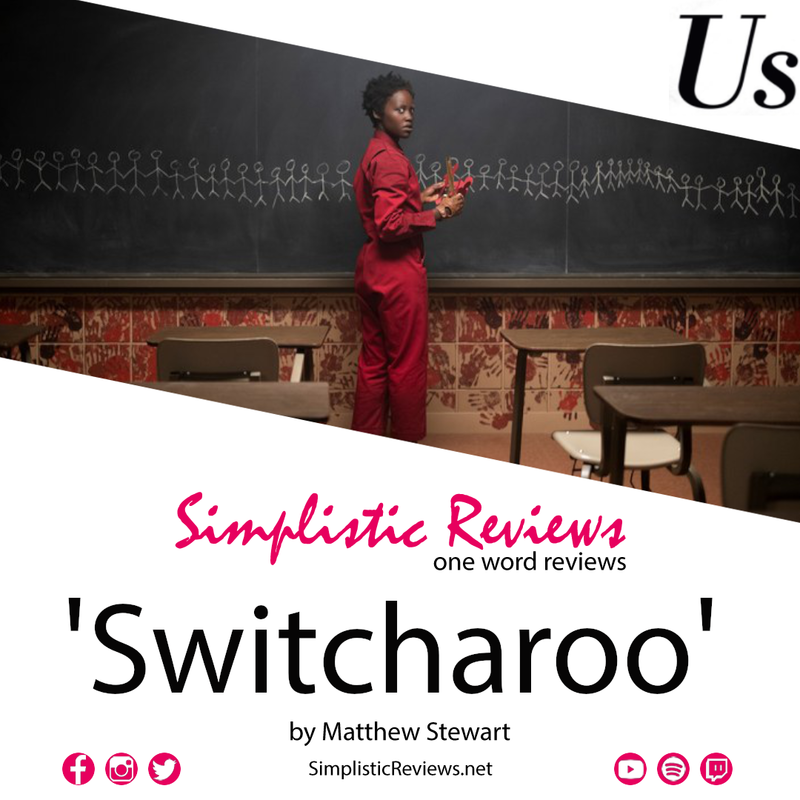 "Us" is a nice SWITCHAROO for an audience that thought they were going to see "Get Out 2: Electric Rod-a-roo." Sure, there's plenty of commentary to sink your teeth into, but drilling down this is a film that is part "Invasion of the Body Snatchers" part "Dawn of the Dead" and part "The Strangers," all while shaking up the tired horror cliche by subbing out your typical white family in danger with a black family, and making a very strong point. Why have horror films always just settled for white actors to be the stars horror films while marginalizing black actors to the roles of "the first to die" or "the sage-like advice giver?" Peele is making a statement that a lot of white folks probably aren't ready for; get ready to be the new "first to die" in the horror genre.